Compatible with UHD 4K and HDR, the Epson EHTW7300 brings the highest quality images to the big screen. Although this is a native Full HD (1080p) projector, clever 4K Enhancement processing allows the EH-TW7300 to double its frame rate, creating detail that’s closer than ever to true UHD 4K. Although not strictly a 4K projector it gives it a much more detailed, denser image than an equivalent Full HD version. Being compatible HDCP2.2, it also supports UHD 4K streaming services from providers such as Netflix. Taking UHD 4K one stage further, the EH-TW7300 is also compatible with HDR (High Dynamic Range) video content. This lets you connect up the latest generation of UHD Blu-ray players for outstanding brightness and realism. Featuring a brightness of 2300 lumen, the EHTW7300 is around 15% brighter than its predecessor. This makes the projector a pleasure to watch, even in daylight conditions. Using 3LCD technology, the image isn’t just bright it’s realistic, too, with a contrast ratio of 160,000:1 (up 40,000 on before) creating bright whites and inky blacks. Frame interpolation and Detail Enhancement are both on hand to provide sharper and smoother motion pictures and great detail, for greater clarity. For fast moving sports events and action movies this makes all the difference in your viewing enjoyment. 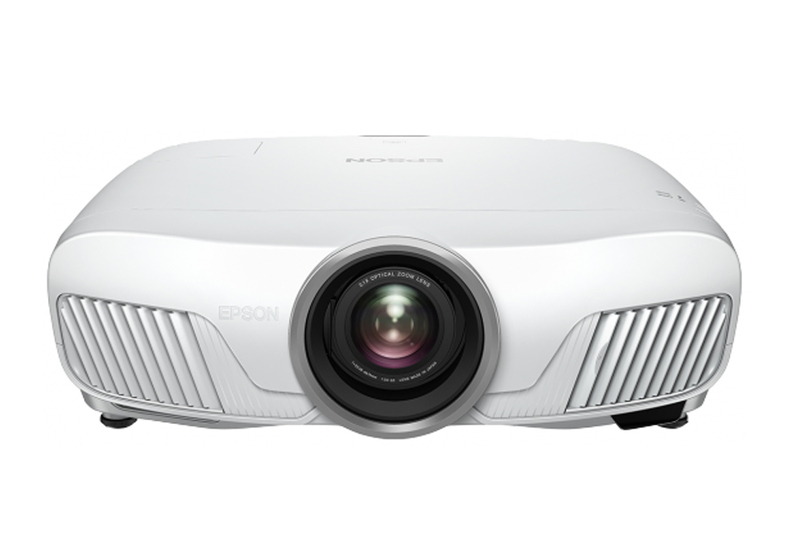 With lens shift and keystone correction, the Epson EHTW7300 is simple to install. The ability to physically move the lens by up to 96% in the vertical plain and 47% in the horizontal means the EH-TW7300 can be fitted in more awkward locations and it also enables a wider choice of screen options. The vertical keystone correction offers a digital version of the same thing with a wide adjustment of +/- 30% in either plain. For the ultimate in immersive viewing, 3D not only gives great projection of effects it also gives a ‘reach in’ depth that 2D projectors simply can’t match. 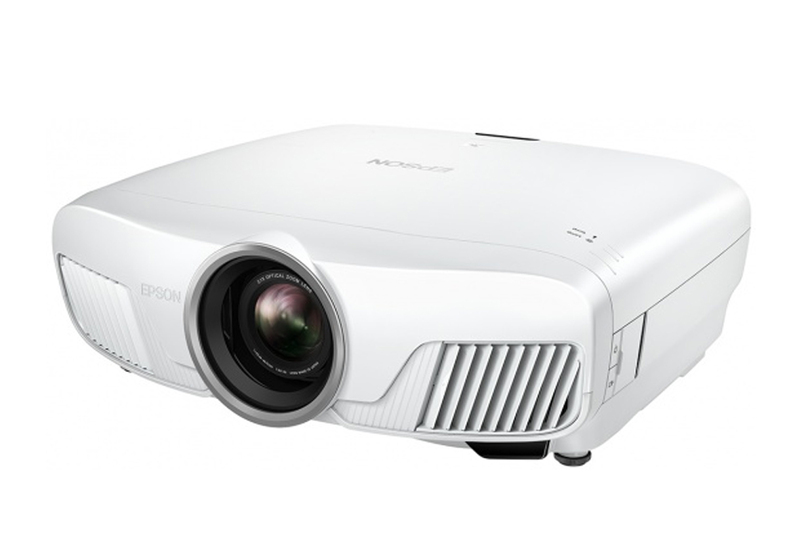 The Epson EH-TW7300 goes further still by offering 2D to 3D conversion, letting you watch all your favourite videos in 3D! 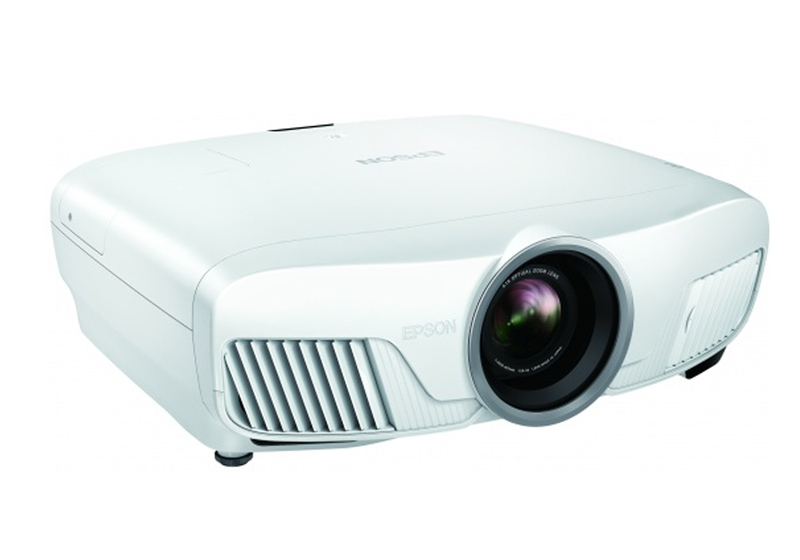 The Epson EH-TW7300 connections include two HDMI sockets plus a VGA for your PC. HDMI 2 is compatible with MHL (Mobile High-Definition Link). This lets you connect up a suitable smartphone or tablet to the HDMI socket and watch HD video, at up to 1080p Full HD, from your mobile device, on the big screen. There are also Type B and Type A USB connections – perfect for powering a range of USB powered accessories and performing service upgrades. The ideal match for UHD streaming or Blu-ray, the Epson EHTW7300 makes the most of your 4K content.